Following a previously published 1 year audit of readmissions, this is a reaudit of our readmission rate (ReAd) in paediatric surgery, asking: is ReAd reproducible, can it be an indicator of quality of care in paediatric surgery, and can it be improved? Prospectively collected Hospital Episode statistics were used to identify readmissions over 1 year. Patients were subdivided into emergency vs elective regarding the first admission and outcomes compared including with our previously published ReAd data. 2616 children (67% male) were admitted during 2016: 1398 (53%) elective and 1218 (47%) emergency admissions. The overall ReAd was 0.9%, comparable to and lower than our previously published rate of 2%. The commonest cause for readmission was appendicitis-related (22%). The emergency cohort ReAd was 1.5% (18/1218) compared to 0.4% (5/1398) in the elective cohort, 4× higher (p = 0.002). In the emergency cohort, the commonest causes for readmission were abdominal pain and perforated appendicitis. 80% of elective group readmissions were related to urological procedures. More of these required surgical intervention to treat (80% vs 22%) (p = 0.03). 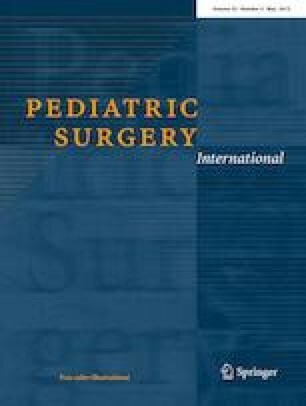 (1) ReAd is a reproducible and reducible quality-of-care indicator in paediatric surgery. (2) Emergency admission is a risk factor for readmission. (3) Appendicectomy was associated with the highest ReAd.